So, the big day has finally arrived. And despite the fact that it seems to have ‘taken an age’ for anything to happen, you now find yourself running out of time to get everything packed and organised. And the worst of it is, is that no-one can tell you in advance exactly what time you will be able to get the keys for your new home. Unfortunately, that’s how it is. At Y Homes Estate Agents York, we can give a rough idea based on the amount of people in the chain and your position within it but that’s all. So many other factors need to be taken in to consideration – which bank or building society the mortgage is coming from, or if it’s a particularly popular day for completions, for example the last Friday in the month. So your plan for completion day should be should be ‘expect the best and prepare for the worst’ and you can’t go wrong! In the same way that, by the law of averages, your luggage has to be first on the carousel at least once in your holiday lifetime, then someone has to get their completion through at 9.05am but in reality, it’s usually mid to late morning so work to that timetable. If you are the bottom of the chain then your solicitor sending your payment starts the ball rolling and you will be the first to get your key. If you are at the top of a chain of five, then it’s going to be possibly a couple of hours after that allowing for each transaction to take place. 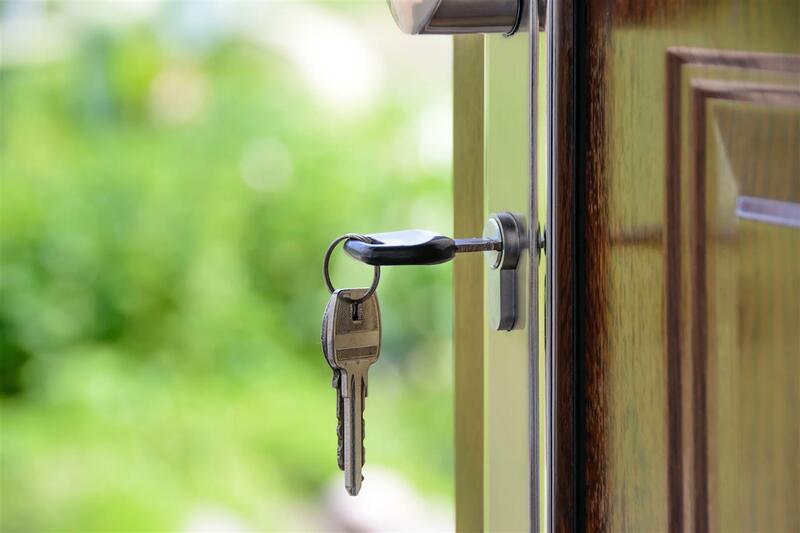 Once your payment has been received by your sellers solicitor then they will ring the agent and tell them that the money has been received and they can release the keys. The Estate Agent cannot release the keys to you until they get that call. It’s hard to wait, knowing the cats meowing in his basket or the kids are crying and hungry, but that’s the rule. And removers are aware of it and used to it, so don’t worry on their behalf. They’ve sat outside many a property waiting for permission to get in. Be prepared too, for the existing owner to be still moving out! Whilst the new property is legally yours, you won’t be able to start loading in your furniture until they’ve taken all of theirs out and it’s quite usual and legal to have a ‘bit’ of an overlap. I once had a lady who was conducting the removal herself, and five hours after legal completion she still wasn’t out. She then informed me that she had done enough for one day and was going back to the old house to sleep overnight, and would continue moving out in the morning. All whilst her purchasers are sitting waiting to move in. Obviously that’s not acceptable, but be prepared for a small wait. That’s why getting the removal company to make an early start is always a good thing. Despite looking at all of your belongings and thinking ‘it’s going to take ages to get all of that stuff out of the old house’, the removal companies do this all day and every day so they won’t take as long as you think, unless you have a grand piano to get down four flights of stairs. Keep ‘family helpers’ to a minimum if you can. They’ll just get in the way of the removal men and as long as there is someone there to make cups of tea that’s fine. It’s helpful to have someone there who knows both the old house and the new one to answer any questions that the removal people may have. Keep one box open and handy for those last minute things to go into, such as tea things, hand towels and the kettle, and if possible, transport that yourself, then you’ll have it handy when you start unloading at the new house. If there are items that are not going on the van then mark them clearly with labels stating ‘Not to be transported’ or ‘Leave behind’. Take meter readings at your old property. Please leave a copy of the readings for the new owners. Hopefully the same will have been done for you in the new house, but if not, take readings as soon as you get in. It’s not obligatory, but it’s always appreciated if you leave a note with useful information for the new owners of your property, telling them what day the bin men come, where your water meter and stopcock are, that sort of thing. Be aware that although you’ve clearly marked your packing boxes with labels such as ‘Bedroom Two’, ‘Study’ or ‘Babies Bedroom’, the removal men may not be able to instantly recognise which room in the new house this relates to. If you can, on gaining entry to the new house, put Post-Its or similar notes on the doors so that they can identify in the first instance. The main thing to remember is to keep calm. You may have had a bumpy ride to get to this stage, it may have been all plain sailing, but however it was for you, packing up your whole life and moving it from one place to another is not easy and there are almost certainly going to be some hiccups on the day. Try and take them in your stride and remember them clearly – for when you decide to move next time!! !